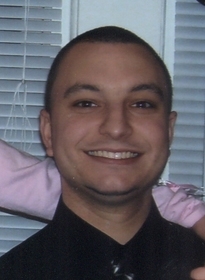 David Jeffrey Letalien, 37, of North Adams, MA died on Friday, August 3, 2018. He was born in North Adams, MA on July 12, 1981 a son of Jeffrey and Lynn (Christiansen) Letalien. He attended local schools, graduating from Drury High School with the class of 1999. He went on to attend Berkshire Community College, where he earned his degree in Computer Science. He graduated with high honors. He was employed for the Local Carpenter Union for a short time. David proudly served his country as a Corporal in the US Marines. He was a distinguished veteran, and became disabled doing what he loved. He was a member of the Pittsfield American Legion. He was a devoted father, and was a very humble and unselfish person. He always wanted to make everyone around him happy, especially his family. Survivors include his parents Jeffrey and Lynn (Christiansen) Letalien of North Adams, MA; children Mariah and Owen Letalien of Pittsfield, MA; his former wife Melissa (Wojcik) Letalien of Pittsfield, MA; brother Christopher Letalien and his wife Ashley of North Adams, MA; paternal grandmother Barbara (Girard) Letalien; maternal grandparents Donald and Margaret Christiansen; as well as aunts, uncles, cousins, and nephews. FUNERAL NOTICE: A funeral service to celebrate the life of David Letalien will be held on Saturday, August 11, 2018 at 9:00am at the Flynn and Dagnoli Funeral Home – WEST Chapel, 521 West Main St., North Adams, MA 01247. Calling hours will take place on Friday, August 10, 2018 from 4-7pm at the funeral home. Burial with full military honors will follow in Southview Cemetery. Donations in his memory may be made to the Mariah and Owen Letalien Education Fund. To add to the Book of Memories, please visit www.flynndagnolifuneralhomes.com.